Looks like the Civic Type R will come in just under 35 grand. 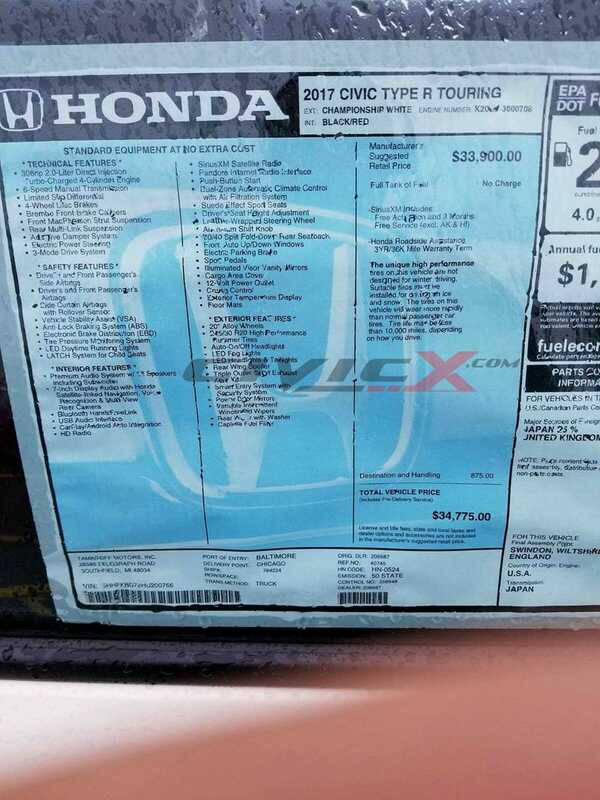 Someone posted photos on CivicX forums Civic Type R’s bound for U.S. dealers in the process of being unloaded at the Baltimore autoport and snapped this photo of the window sticker. Pretty much the Type R is $10 grand more than an Si. What do you guys think of this price?